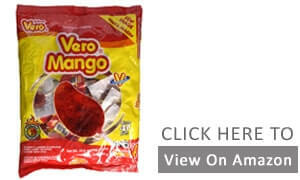 Vero Mango, Chilli Covered Mango Flavoured Lollipops is a treat to the taste buds of every sweet-tooth out there, who also loves chili. The taste of this amazing candy advances as you indulge into it. At first, the tang of the chilly hits your tongue. The candy as well as the stick, both are coated with chilly, quite generously, giving you the spicy flavor you were looking for. Then comes a time when the chilly is overpowered with the sweet and abundant flavor of mango, which is a welcome relief after all the spice. Your taste buds are going to thank you for the rendezvous with this flavourful, chilly coated lollipop. Age is indeed, just a number when it comes to candies, who doesn’t love them? Anyone, who is done with the boring sweet candies should definitely try these unique lollipops, which has a perfect balance of spicy, sweet and tangy. 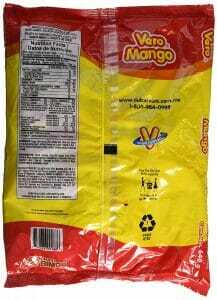 These are a must have for the adults who are missing the taste of the Mexican treats which used to define Halloween for them. They can be easily ordered from Amazon for really low costs. 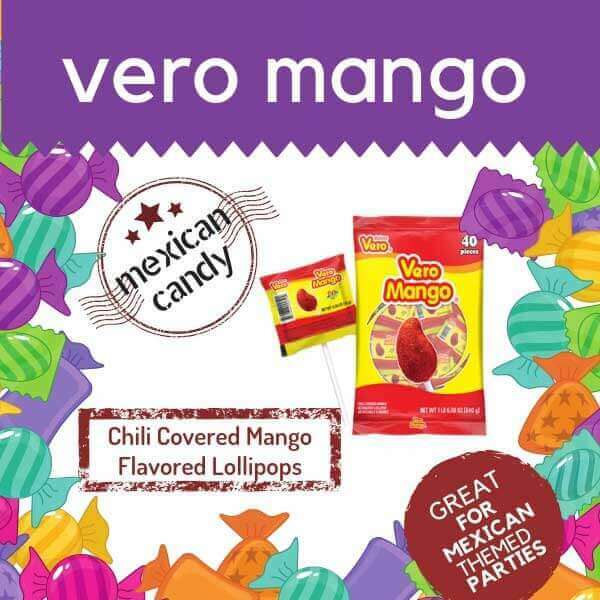 Vero Mango, Chilli Covered Mango Flavoured Lollipops are a perfect treat to have on the table for kids’ birthday parties, Christmas celebrations, Easter, Halloween; well, for every happy day you can think of!